ESAA CODE OF ETHICS: By Selecting the Agree Checkbox Above, I/We are bound by the following pledge. I am the caretaker not only of the individual dog but of the reputation and welfare of the breed as a whole. It is my responsibility to educate the public and to explain, define, and protect the breed. It is incumbent upon me to set the example of each dog being individually cherished but only the physically and temperamentally sound being bred. I accept the premise that if I breed a litter those dogs are my responsibility throughout their lifetime. 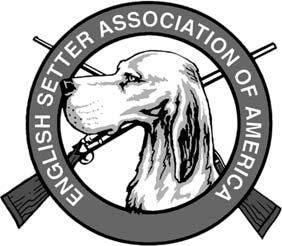 My conduct and actions in the sport should reflect positively upon the Association and other fanciers of the breed. I will volunteer my time and talents in Association works and endeavors. ESAA will provide important club information to you via email. If you wish to not receive this information, you will have the option to unsubscribe upon receipt of the first information email. ESAA provides name and email addresses of club members via our website in the members only section. We would like to share your email with other members who may need or want to contact you. When you press Send email, you will be redirected to the payment page.